When you buy something it’s important to you that it’s functional, right? You want something that works and if there’s some assembly required then the functionality of that product is now dependent on your ability to follow directions. Some things function without skipping a beat, and usually, they’re things that don’t come with any assembly required. Your food shouldn’t be any different. Foods should be fully functional and they most certainly shouldn’t come with any assembly required. Functional foods are, (according to the Mayo Clinic) foods that have a positive effect on health beyond that of their basic nutrition1. These types of super foods go further than satisfying hunger and they work to fight off disease while keeping you looking your youngest and feeling your healthiest. Functional foods are characterized by extra nutrients and phytochemicals that give them extra oomph, that’s right oomph when it comes to nutritional density. In short, functional foods are powerful foods that you can use to give yourself and the kids a nutritional boost. One food that is commonly forgotten about and is a spectacular super food is the tomato. Actually, it’s so overlooked that only a few short centuries ago tomatoes were thought to be poisonous because they come from the nightshade family. Tobacco, potatoes, eggplants, and different kinds of peppers also come from the nightshade family. Sometimes family ties can be so unforgiving. Tomatoes are cancer-fighting foods full of vitamin C and free radical removing antioxidants. They’ve been shown to combat both prostate and colorectal cancer thanks to their high levels of fiber and beta-carotene2. Does the thought of convincing your kids to eat more fruits and vegetables make your blood boil? Tomatoes have been shown to lower blood pressure due to their potassium content and vasodilation effects2. Tomatoes are also full of nutrients that promote heart health and fight against cardiovascular disease and diabetes. Functional foods like tomatoes promote healthy digestion, strong eyes, radiant skin and vibrant hair. If you plan on living longer, you might as well look good doing it. Mayo Clinic. Nutrition and Healthy Eating. http://www.mayoclinic.org/healthy-lifestyle/nutrition-and-healthy-eating/expert-answers/functional-foods/faq-20057816 Retrieved on 10/22/16. Medical News Today. 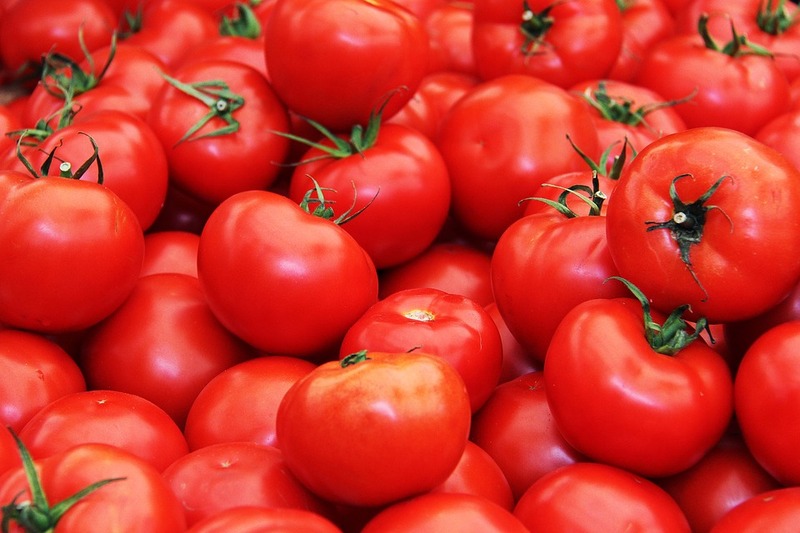 Tomatoes: Health Benefits, Facts, Research. http://www.medicalnewstoday.com/articles/273031.php?page=2 Retrieved on 10/22/16. This entry was posted in Arizona, Cooking, Food, Grocery, Health Tips, Healthy Eating, Produce, Vegetables and tagged Health, Healthy, Nightshade, Potato, Produce, Tomato, Tomatoes. Bookmark the permalink.